Below is 1000TravelTips top 10 list of our best family travel tips. Electronics can certainly make a family vacation easier, however, the last thing you want to do is take up a ton of space in your luggage full of gadgets that you might not even use. This list of the top 7 family travel gadgets are lightweight and easy to bring along when you and your family hit the road. You don’t need to travel far to experience wonderful family vacations! Patricia Schultz, author of 1,000 Places to See in the United States and Canada Before You Die (Workman), shares some of her favorite family-friendly summer destinations in North America that are great for family vacations. Read on for a few of her tips on great family vacations —then get packing! 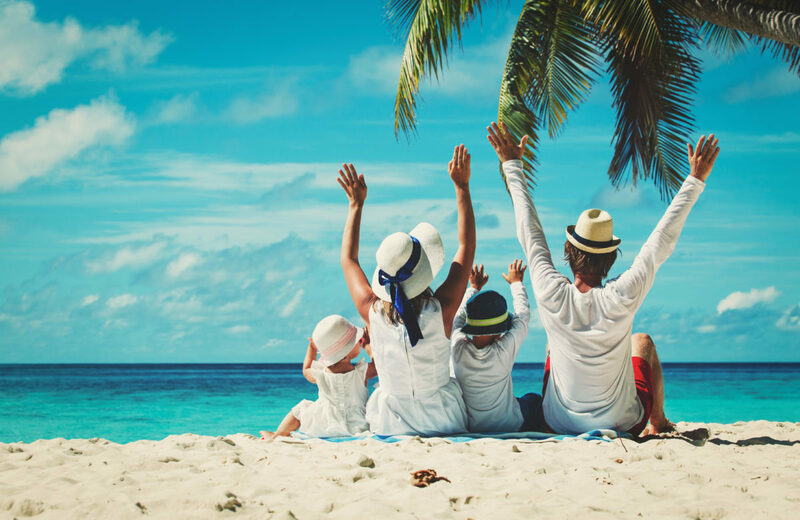 It’s mission impossible: take a multi-generational family vacation to a new destination and expect the whole family to have an amazing time during the duration of the trip. But even with the odds stacked against them, family vacations usually provide joy, togetherness and lasting memories. 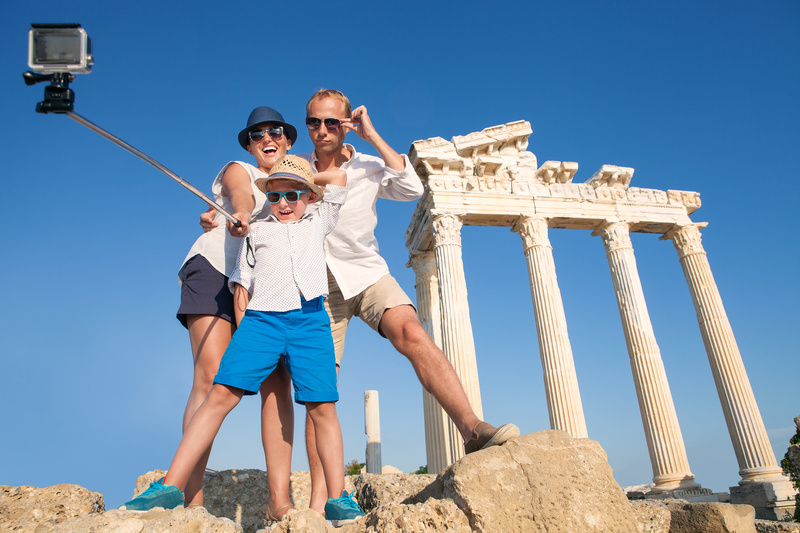 Take note of these family vacation mistakes that you will never make again! Nothing says summer like planning and packing—and heading out the front door for an all-American adventure. You don’t need a surplus of time or money, just the conviction to finally make it happen this year. There is no shortage of enticements across the United States, from shore to shimmering shore. Here are 5 Summer Getaways we have chosen from Patricia Schultz’s recently updated 1000 Places To See in the United States & Canada Before You Die. Play all day, wake up rested and refreshed and enjoy the vacation you have been planning for months. That is the goal of all vacations, but sometimes, things happen. Emergencies can range from the luggage not arriving, the fire alarm in your hotel going off in the middle of the night, car problems, to unexpected weather such as hurricanes, tornadoes, and flooding. You can use your smartphone and our smartphone tips to minimize the effects of emergencies by being prepared in advance. Smartphones with cameras are great for fun and capturing wonderful memories while on vacation. They also can help you be prepared for the unexpected and feel confident knowing you have the information you will need no matter what the emergency. Traveling as a single parent can be challenging, but 100% worth it. I always feel a great sense of accomplishment when I get home from a solo trip with my son. There is also great benefit to choosing a hotel that has inbuilt entertainment for your kids, hotels with attractions, water parks, and playgrounds (a big winner with my son.) Some of our favorites of this variety are the KSL Hotel and Dinosaur water park, The Sheraton Macau and the Angsana Laguna Phuket. Single parent travel often comes with fear and poses questions of ‘Can I really do this?’ The answer is, ‘of course you can!’ Here’s a list of tips and advice for single parent travel. Thanksgiving is all about enjoying delicious food as you catch up with the family you haven’t seen for months. Unfortunately, getting to this wonderful situation is hardly a fond memory. Traveling on Thanksgiving can be a nightmare. With everyone heading home to see their loved ones, the airports and roads are nothing short of a mess. While we can’t make the crowds disappear, we can give you some Thanksgiving family travel tips to make the process of arriving at your destination as stress-free as possible. Part of pre-trip anxiety (for me) is trying to get my home in order before leaving. It doesn’t matter whether I’m leaving for a weekend getaway or headed out of the country for a month, there’s still the same amount of stress involved as I make sure I’ve got everything buttoned up before I walk out the door. Below are our tips to keep your home safe while traveling. I often get asked why you should travel with your kids. The number of times I’ve been told ‘Oh he wont remember it anyway, wait until he’s older’ are too many to count. Here are my top family travel tips as to why you should travel with your kids.